All Pro’s Franchise Business Opportunity | All Pro Franchising International Inc.
Have you been thinking of opening a business? If so, seeking out the right franchise business opportunity is a great way to shake up your career. 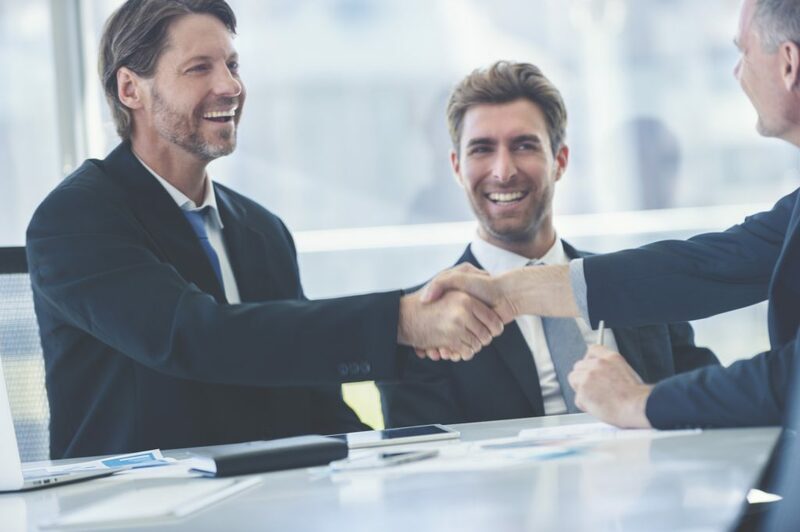 All Pro Cleaning Systems has been in business for more than twenty years, and, in that time, we’ve learned a thing or two about how to make franchise ownership simple and rewarding for our investors. In this entry, we’ll explore a few of the ways that All Pro Cleaning Systems’ franchise business opportunity beats out the alternatives. If you’ve been thinking about starting your own business, chances are you’re wondering why to bother with a franchisor when you could go it alone and avoid paying a franchise fee and royalties. We understand how frustrating extra expenses can be, but many prospective franchisees don’t realize that their one-time franchise fee and small royalty payments grant them access to a host of resources. For instance, if you’re new to the commercial cleaning industry, it might take some trial and error to figure out what works best for your business. When you partner with All Pro Cleaning Systems, you won’t need to bother with this time-consuming endeavor – you can take advantage of our time-tested business model right from the start! Implementing our proven system has the potential to save you time and money by keeping things running smoothly from the beginning. Furthermore, All Pro Cleaning Systems helps our franchisees in a number of other ways. For instance, we help them to find the right employees and market their business effectively. We also help with lead generation, giving you the tools and skills to quickly find new customers in your area! As you can see, when you opt to franchise rather than work independently, you’ll enjoy a host of resources that will save you valuable time and money. Not all franchises are alike, and one reason that All Pro Cleaning Systems stands out is that we’re a B2B (or “business to business”) company. That means that rather than providing residential cleaning services, we only service other businesses. Best of all, our services are needed by most every type of businesses. Whether it’s a doctor’s office, bank, a school, or an office park, everyone needs cleaning services to keep their business running smoothly. This puts our franchisees in a great position because they’re protected from major ebbs and flows in the economy that affect other industries such as restaurants and retail. It’s important to identify a franchise business opportunity that’s led by a well-established brand like ours. Not only have we been in business for over twenty years, we’ve invested time and money into research and development that helps us to stay on top of our game. For instance, we’re a leading provider of green cleaning products and processes, as well as in-demand services that today’s industrial customers value. We’ll continue to invest in research and development so that our franchisees are able to provide the popular services that today’s customers want. These are just a few reasons why All Pro Cleaning Systems gives our investors more than they’re likely to find with any other franchise business opportunity or by working alone. Contact us today to learn more about what it takes to become a franchisee!